Melissa offers her knowledge of holistic nutrition, life and relationship coaching, diet planning, and corrective & restorative exercise. Melissa’s practice includes the Ayurvedic diet and relaxation meditation. She obtained her certifications from The Chek Institute in San Diego, CA and Shoshonie Yoga school in Rollins, CO. Part of her mission is to empower and be a positive influence for others to help and inspire them live up to their potential for a full and healthier way of life. Melissa was born and raised in Houston, TX. In high school she competed in track & field, as well as being on the first girls’ soccer team at Alief Hastings High School. In 1982 a life change occurred while on her way to compete in a Miss Houston Teen Pageant. A large van T-boned the little Nissan she was riding in. After the accident she continued on to the pageant with determination to finish what she worked so hard for, completing the pageant to win Miss Houston Teen. She spent the next two years in a back brace, due to compressed vertebrae from the accident. She learned first-hand about pain and disappointment. Growing up in a family of athletes, she understood all too well that extended therapy was needed. 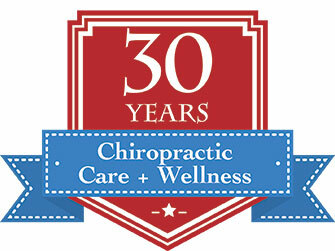 Thus began her journey with chiropractic care, orthopedic support, massage and yoga exercise. All therapies played a part in restoring her to functioning health. In 1984 she went on to study Dance, Theatre, Speech and Business Management at Sam Houston State University. While going to college, Melissa worked as a print and runway model for Houston City Magazine, Sebastian Hair, True Confessions magazine and the Neiman Marcus catalog. Her modeling career took her to New York in 1986. She modeled for Bride n Formal and later as a high-fashion model for Ford Petite Modeling Agency New York. While returning to college in 1987, she started a home care business to fund her studies at University of Texas and Austin College in Nutrition, Business Law, Child Psychology and Economics, obtaining Marketing and Mathematics degrees. After college graduation in 1991, her desire to travel and to experience many countries and rich cultures landed her in the Philippine Islands for six years. Her dual interests in beautiful textiles and in helping poor women propelled her into planning, development, designing and exporting women’s suits and jackets. A portion of the proceeds went to help clothe women in need of office clothing for re-entry into the workplace. Melissa’s time in Asia allowed her to learn and experience the rich culture, nutrition, cooking styles, and the ancient health and beauty secrets of Asia – a true education and experience of a lifetime. Melissa was heavily dedicated to missions and serving with The American Women’s Group to help the poor, and women rescued from trafficking in the Philippines. While dedicated to Christian-based service, Melissa started her coaching and nutrition counseling practice in 1994. She could see how it made a difference in successful healing in the women she served on the missions. In her spare time, Melissa enjoys dance, music, theater, delicious healthy food, chess, hiking, bicycling, scuba diving, downhill skiing, watching sports games, movies, boating and fishing, animals, traveling, design, photography, and trying new things. Melissa has a passion for helping people and a deep interest in understanding different cultural backgrounds. Her practice goal of sharing proper nutrition and a holistic lifestyle for a healthier and richer quality of life stems from her intense personal experiences.